Hello Readers, In our today time everyone facing battery problem in their smartphones. Mostly all the smartphone battery draining very fast and most of the peoples looking for an battery save andriod app that they help you to save your battery from drainage. So, Our today topic is about how can we save our battery from fast drainage. We can save your battery by some andriods apps. So, today We are going to Share best Battery Saver Apps for Android Smartphones. Battery Saver Ultimate application provides the best power settings to saves the battery time of your device or your tablet. Whenever battery runs low or goes too much down then just tap the Power Saver app to turn on the saving mode. Battery savers help you to switch off all the extra functions like WiFi, Bluetooth, GPS, Sound and other energy consuming apps on the device. App Will Notify when power get down in percentage and even when you plug your device in charging it shows charging stages. 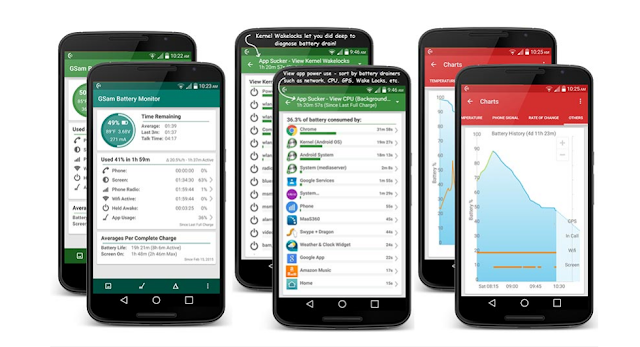 GSam Battery Monitor is a comprehensive battery monitoring app that shows you what’s draining your device’s battery life. Its key feature is called App Sucker, where it takes a look at all the apps that are draining your battery so you can identify which ones are causing the problem. You can then take steps to make that app stop being such a drain on your battery. It’ll show you details on wake locks, wake time, and even CPU and sensor usage so you can see what’s really using what. If you’re rooted you’ll be able to select which services or apps you wanna kill automagically. The app runs a simple service every X seconds (default is 60s) and checks if those services that you’ve selected are alive. If they are – BOOM – good night. A small detail though, if that service or app is running on the foreground this app won’t kill it. It’s a small safety measure because you don’t want apps that you’re using to close on you. There is many more available in playstore for battery saver. I just posted those battery which is used by personally me and all of this work better. 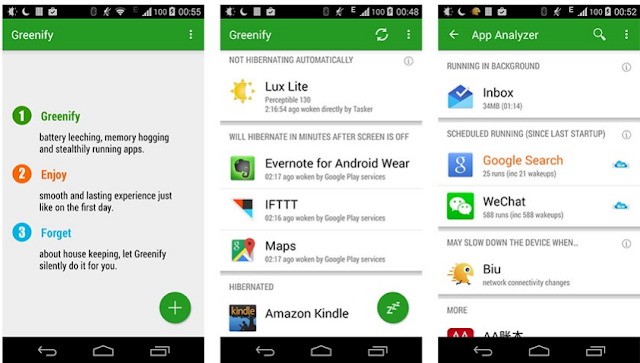 Hope You like our Best Battery Saver Apps list for Android. If You like Best Battery Save Apps list then don’t forget to share & Comment below.